An 83 year old Fort Erie man has won big with Poker Lotto. 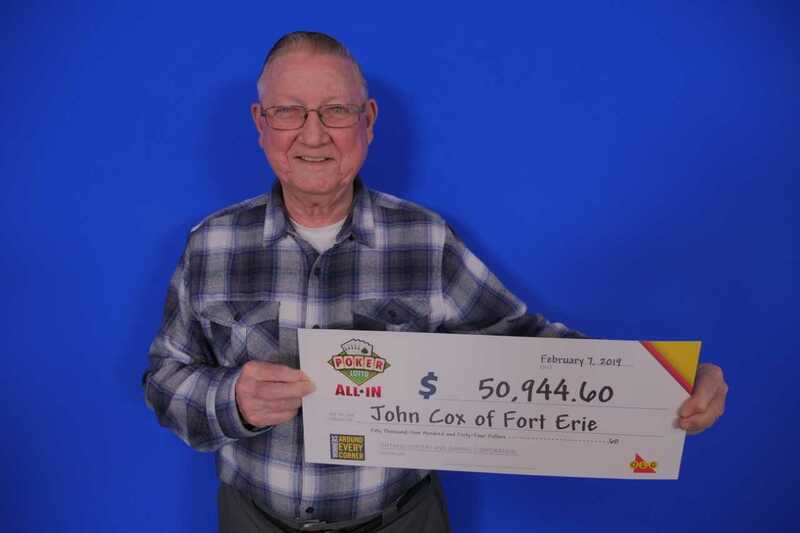 John Cox has been playing the lottery every Sunday for 28 years now. He was shocked to find out he had won the Poker Lotto All In jackpot of $45,944.60. He also won another $5,000 off the instant portion of his play, which brings his total up to $50,944.60. Cox is now planning on using his winnings to pay off some bills. He's been married to his wife for 62 years and is a father of five with 11 grandchildren.